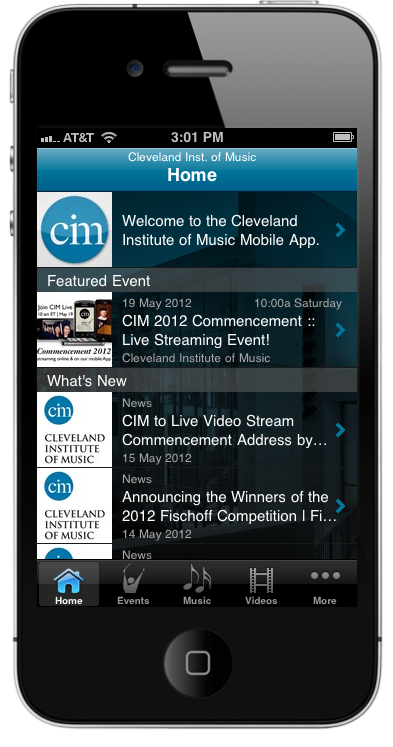 On Saturday, May 19, the Cleveland Institute of Music (CIM) will live video stream its Commencement exercises at 10:00 a.m. (EDT) on www.cim.edu and on its mobile optimized website and smartphone apps powered by InstantEncore. 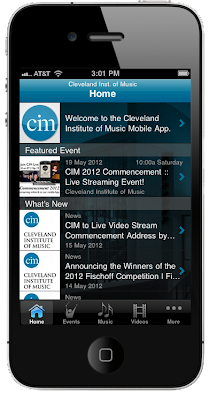 The ceremony will feature iconic music figure, pianist Van Cliburn, as CIM presents him with an honorary doctorate. He will also give the Commencement Address to approximately 120 graduates. The musical program includes tribute performances by critically acclaimed pianist Sergei Babayan as well as pre-recorded work by his protégé – the 2011 International Tchaikovsky Competition Grand Prix Winner, pianist Daniil Trifonov.